This year’s sample offerings will include Bacon Wrapped Stuffed Salmon, Pear, Bacon & Brussel Sprouts Salad, Honey & Goat Cheese stuffed Sweet Potatoes, Christmas Guacamole, Cranberry White Chocolate Bread, Ham and Pickle Dip and Glazed Pecans, just to name a few. Gather family, friends or co-workers for this Family Friendly event and go check it out! Tons of samples and lots of fun, plus the ideas for food prep going into the holidays will be invaluable. 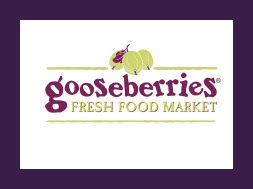 Gooseberries is located at 690 W. State Street (Hwy 36) in Burlington. 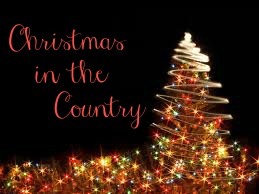 Don’t miss an opportunity to take the kids to see Santa in downtown Lake Geneva, complete with elves and live reindeer. Santa and his helpers (both 2 legged and 4) will be at 252 Center Street this Saturday, December 15th from 11:00 a.m. to 2:00 p.m.
It’s a great photo op for the Holidays, possibly even Christmas card worthy! 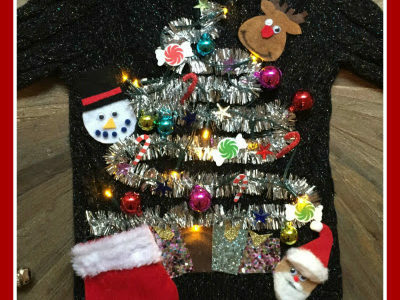 Put on that ugly Christmas sweater that you only get to wear a few times each Holiday Season and head to the Sprecher Pub in Lake Geneva either this Saturday, December 15th or next Saturday, December 22nd. 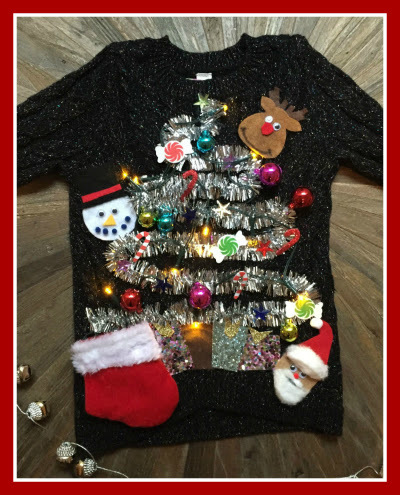 Wear an ugly Christmas sweater, dine between 11:00 a.m. and 11:00 p.m. and receive a $5.00 gift certificate. Sprecher is located at 111 Center Street, in The Cove of Lake Geneva. “Christmas in the Country” brings over two million lights to life on the 1,300 acres of grounds that make up the Grand Geneva Resort and Spa. The Grand Geneva Resort and Spa grounds will be lit for your viewing pleasure through December 31st, so you have plenty of time during the holidays to drive through the resort with your family. You can see the 12 days of Christmas, Santa on the putting green and much more. This is a wonderful, family friendly way to start off the holidays. Plan to make it a family tradition. The indoor displays are all new again this year, so leave enough time to park and go inside for a leisurely stroll through the resort and a cup of hot chocolate near the fireplace. Don’t miss your opportunity to view all the Gingerbread Houses created by area residents, amateur and professional, young and old. They are located just down the hall from the Evergreen ballroom on the second floor. Kids, enjoy breakfast with Santa every Saturday and Sunday until December 23rd from 8:00 a.m. to Noon. Tickets are $35 for adults, $20 for children ages 6 to 12 and $12 for children ages 2 to 5. Reservations are recommended and can be made by calling (262) 249-4788. Dress up for the event, or show up in your pajamas, it’s up to you. A trip to the Grand Geneva & Spa to enjoy Christmas in the Country may be exactly what you need to help put you in a holiday frame of mind. Looking for that unique gift for that special someone on your list? 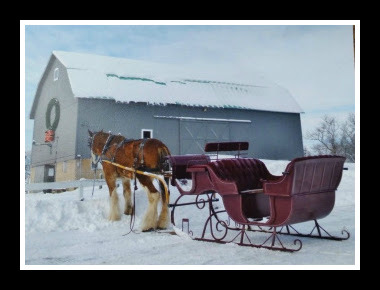 Northwind Perennial Farm is well known for their breathtaking beauty from Spring to Fall, but how many of you have taken some time to walk through “The Christmas Shop” during the Holiday season? They are open from 10:00 a.m. to 4:00 p.m. every Friday – Monday until December 16th. Shop for special Christmas ornaments and holiday decorations, along with garland, branches, greens, wreaths, and berries. They offer a beautiful selection of artwork and unique one-of-a-kind gift items from some of our local artists. 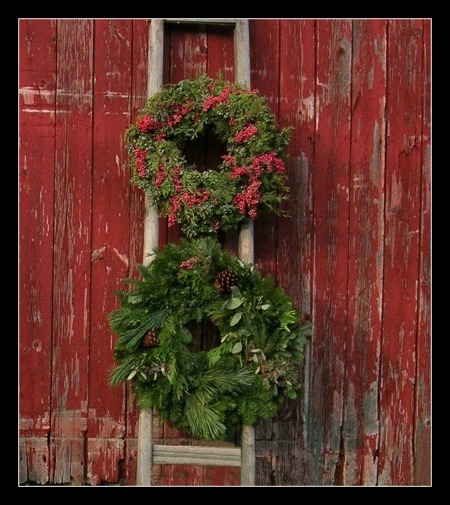 Please note that the Christmas Shop is located in the barn, so dress for the weather. Northwind Perennial Farm is located at 7047 Hospital Road. Just east of the intersection of Hwy 120 and Hospital Road. 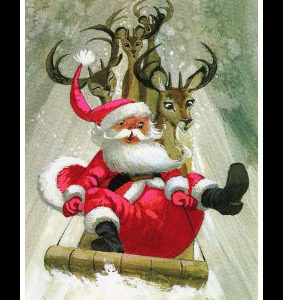 Lakeland School in Elkhorn will be hosting breakfast with Santa this Saturday, December 8th from 7:15 a.m. to 11:00 a.m. Enjoy a Belgian waffle and sausage breakfast, visit with Santa and listen to the Lakeland School Choir perform at 9:15 a.m. and again at 10:00 a.m. Tickets are $7.00 and children under 4 are free. Lakeland School is located at W3905 County Rd. NN in Elkhorn. 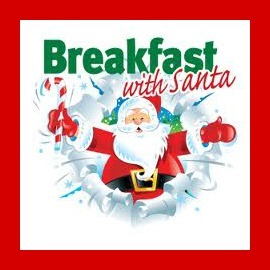 Enjoy breakfast with Santa every Saturday and Sunday until December 23rd from 8:00 a.m. to Noon at the Grand Geneva. Tickets are $35 for adults, $20 for children ages 6 to 12 and $12 for children ages 2 to 5. Reservations are recommended and can be made by calling (262) 249-4788. Dress up for the event, or show up in your pajamas, it’s up to you. 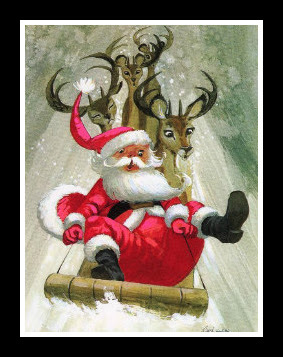 Lake Lawn Resort in Delavan will be hosting breakfast with Santa on Saturday, December 22nd. 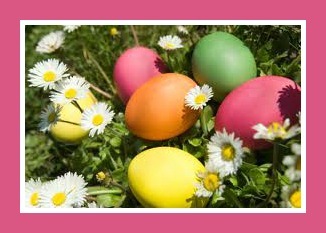 The kids will be able to choose their own breakfast items from a children’s height buffet full of all their favorites. 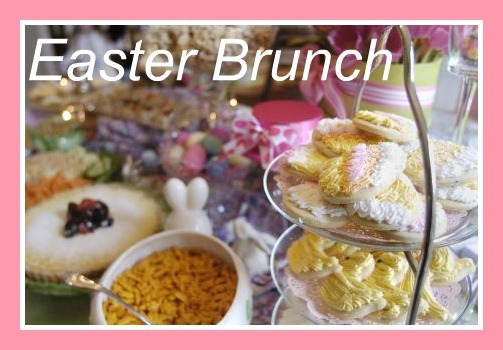 Enjoy juices, fruit, mini pancakes, French toast, donut holes, eggs, bacon, sausage and more. The kids will have the opportunity to participate in holiday themed crafts, sit on Santa’s lap and have their picture taken at the life-size gingerbread house in the courtyard. 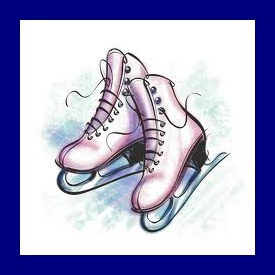 Tickets are $17.95 for adults and $9.95 for children ages 4-12. Children 3 and under are free. There are several seatings that morning and reservations are required.